Register for Microsoft Future Decoded and you can experience over 130 breakout sessions, morning and afternoon keynotes, hands-on labs, and 42 sponsor and partner experiences – all helping empower your digital transformation journey. 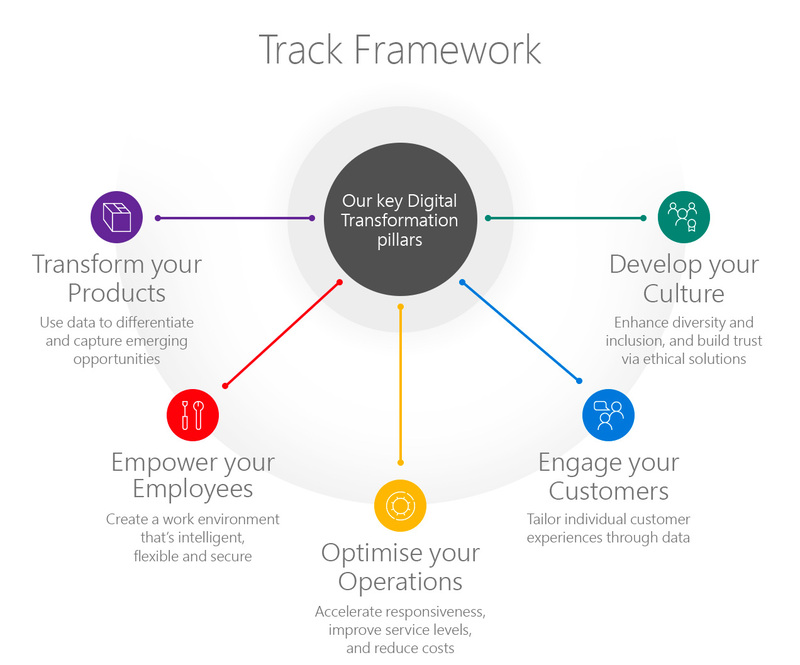 To help you understand the benefits of attending, we have created an illustration, found below the agenda, displaying the five key pillars of Digital Transformation and how they relate to you. For a preview of what we will cover in the sessions, click here. Learn how to get to the leading edge of AI-amplified digital transformation with practical steps shared by Microsoft customers and partners. Explore what the next industrial revolution, fuelled by AI, looks like. From practical next - level advanced workloads to next-generation transformative technology, get the trends to inform your strategy. Digital transformation is about bringing together people, data and processes to create value for your customers and maintain a competitive advantage. Choose a session from the five practical outcomes you can achieve with Microsoft’s partners and technologies.